Who Was The Prophet Micah From The Bible? 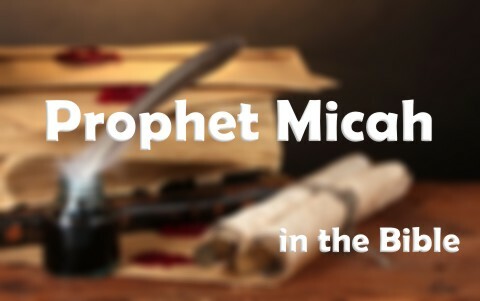 Who was the Prophet Micah? What was his purpose? I believe that Micah’s name is part of His purpose to proclaim God as his name means “who is like Yahweh” so Micah is to be used by God to reveal Who He is. We don’t have much on Micah but simply an introduction where it says “The word of the Lord that came to Micah of Moresheth in the days of Jotham, Ahaz, and Hezekiah, kings of Judah, which he saw concerning Samaria and Jerusalem” (Micah 1:1). This verse reveals those who Micah is being sent to; both Jerusalem or Judah (the Southern Kingdom) and Samaria (or Israel, the Northern Kingdom) who became absorbed by Samaritans but is still identified as Jacob (or Israel) (Micah 1:5). Micah is called a Minor Prophet only because of the size of the book but has nothing to do with the prophecies being minor. Micah the Prophet was a contemporary of Isaiah, Amos, and Hosea, as these prophets were also charged with warning Israel and Judah. After Israel divided, not long after Solomon was gone, the Northern Kingdom, called the Samaritans or Jacob (and even Israel) and the Southern Kingdom, Judah split in two and for a time were in conflict with one another but Micah was concerned about warning both nations about the coming judgment of God. Micah prophesied the coming destruction of Jerusalem (or Judah) and Samaria but also their restoration in the future. When Micah had finished much of his prophecies against Israel and Judah, he gave a prophecy about where the coming Messiah would be born and wrote, “But you, O Bethlehem Ephrathah, who are too little to be among the clans of Judah, from you shall come forth for me one who is to be ruler in Israel, whose coming forth is from of old, from ancient days” (Micah 5:2). Of course we know that the clan from which the Messiah came was the Tribe of Judah and He is called the Lion of the Tribe of Judah by the Apostle John (Rev 5:5). This is Jesus Christ Who it is said that “he shall stand and shepherd his flock in the strength of the Lord, in the majesty of the name of the Lord his God. And they shall dwell secure, for now he shall be great to the ends of the earth” (Micah 5:4) as “he shall be their peace” (Micah 5:5a). As you have read about the birthplace and coming of the Messiah, Micah didn’t bring all “gloom and doom” to his people. He glories in the great love and exceeding compassion of the Lord, writing “Who is a God like you, pardoning iniquity and passing over transgression” (Micah 7:18a), almost reading like one of the psalms as he joyfully writes “He does not retain his anger forever, because he delights in steadfast love” (Micah 7:18b). In foreshadowing the message of salvation, Micah writes that God “will again have compassion on us; he will tread our iniquities underfoot. You will cast all our sins into the depths of the sea” (Micah 7:19). That is how Micah ends his book; with a hope-filled future that speaks of God’s great compassion in covering our sins and not retaining His anger forever. Micah, prophesying between 737–696 BC brought a message of judgment but also of mercy, forgiveness, love, and compassion. God disciplines those He loves just as a parent disciplines their child because they love them. Micah, prophesying during the reigns of kings Jotham, Ahaz, and Hezekiah of Judah, gave the nation of Israel and Judah adequate warning and God gave them plenty of time to repent but they did not and as a result, both Israel and Judah were destroyed and their people were taken into captivity. Micah was probably one of those taken captive but he probably didn’t care because he had been taken captive by the heart of God. Something more to read about prophets: Are There Still Prophets Today? Previous post: Who Did Not Die In The Bible? Next post: What Does The Bible Say About Sexual Desire?